Every project, is a project WellDone. 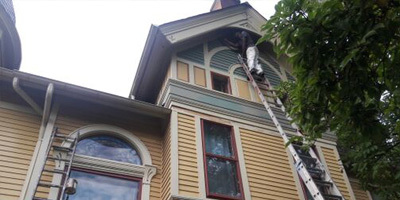 Welldone Painting is Northeast Ohio's best choice for your painting contractor needs. We manage projects ranging from large residential and commercial painting contracts to small interior jobs. Our professional, artisan quality, attention to detail guarantees a satisfied customer, and establishes lasting working relationships. We pride ourselves on delivering work on time, and at a competitive price. It is our passion to provide our customers with individual attention and an atmosphere of comfort and trust before, during, and after each job. At Welldone quality and customer service come first. Our crews are experienced, professional, energetic, and courteous. We are sure that you will be completely satisfied and happy with your interior or exterior painting project! Our employees are hired not just because they are excellent painters but also because they are people that you will feel comfortable with. 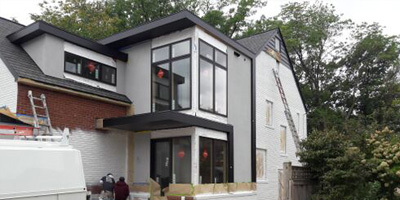 Our estimators will provide you with an estimate when it is convenient for you. During the majority of the year we are able to schedule estimate appointments 7 days a week from 11am to 8 pm to ensure that we can be available around your schedule.